Starting on June 7, Apple will be the exclusive retailer for the Apollo personal cloud storage device, a consumer play from Promise Technology. Next time you are in an Apple store, you may see an unfamiliar device. Starting on June 7, Apple will be the exclusive retailer for the Apollo personal cloud storage device, a consumer play from Promise Technology, a storage firm based in California. 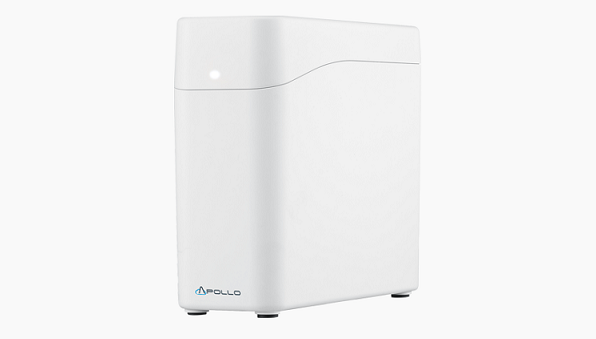 Apollo offers 4 TB of storage, and allows up to nine members to use it. With the Apollo Cloud App users can quickly access personal content from anywhere. Of course the big sell is the fact that the user owns the physical device where their cloud lives unlike other cloud services where you may not be sure who has access to your data. According to Promise Technology, unlike other cloud services, there are no recurring fees with Apollo. According to a review by Mac Rumors, the Apollo is priced at $299. While the device certainly won’t replace cloud storage as we know it (Apollo is not even recommended as a sole backup device), it is part of a larger trend of personal cloud storage for users who want to take “control” of their privacy. Of course, with any Internet-enabled devices, there are still security risks, but it could provide peace of mind for certain users. The device sounds ideal for families or friends who want to share photos or videos without putting them on Facebook, Instagram or another photo-sharing website or cloud-based service. There doesn’t seem to be much of a business application for the device. It will be interesting to see Apollo plays into Apple’s cloud strategy, which so far has been led by iCloud, its answer to Dropbox. This latest addition, while interesting, does seem to contribute to the idea that Apple’s cloud initiatives have been rather scattered. “As cloud-based services gradually grew in importance, Apple provided some of those to complement its devices, under a variety of sometimes confusing names, and with a mixed record of success,” according to a report by The Verge. With this in mind, the most likely candidate for the new storage device is likely the die-hard Apple fans. People with a real interest in technology have likely found something for sharing photos or videos that already works for them, and they may not be willing to fork out the $299, and have their friends or family download yet another app.